Acorn Squash is my favorite squash. I do enjoy other squashes, but the flavor of acorn squash has a special place in my heart. I can't really pinpoint what my reason os for this love, but you'll just have to make more acorn squash and find out yourself! Maybe it's the seeds ... whenever I make acorn squash, I always rinse, dry and roast the seeds in a little garlic, chili powder and salt. They are amazing! Don't forget to save your seeds! Cut acorn squash in half and remove the seeds. 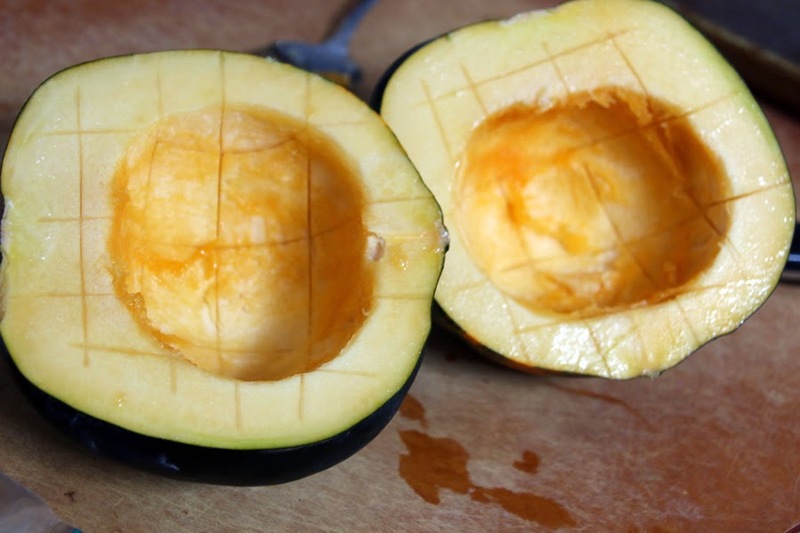 Make slices in the squash with a knife and lay face down in a pan filled with 1/2 in of water. Roast them at 375º for 40-45 minutes. Roast your garlic at the same time with a little olive oil and wrapped in tin foil. In a pan, saute onion, mushrooms, jalapeno until juices are gone and mushrooms have started to caramelizze. Scoop out the acorn squash and garlic once it's cooled and mix it so that there are no chunks. Add onion and mushrooms to acorn squash and garlic. Next, it's time to assemble. On each tortilla, divide your kale, then 1 cup of your monterey jack cheese. 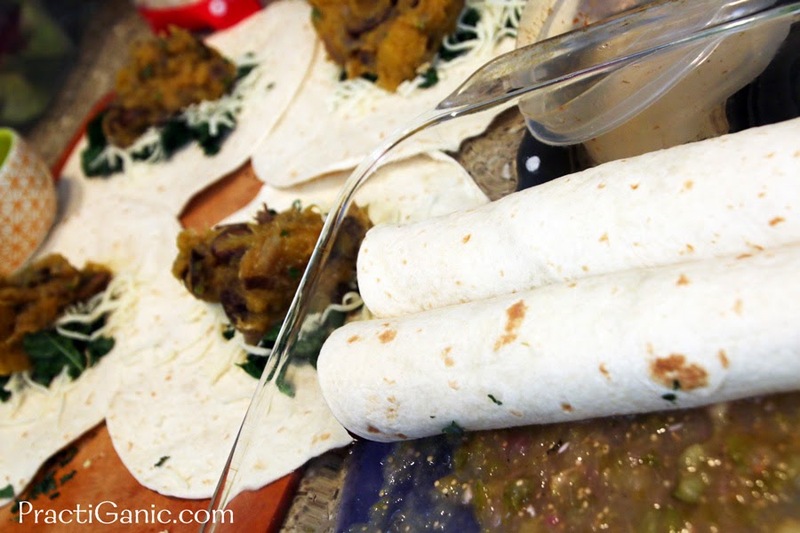 Top with acorn squash mixture and roll up the tortillas. 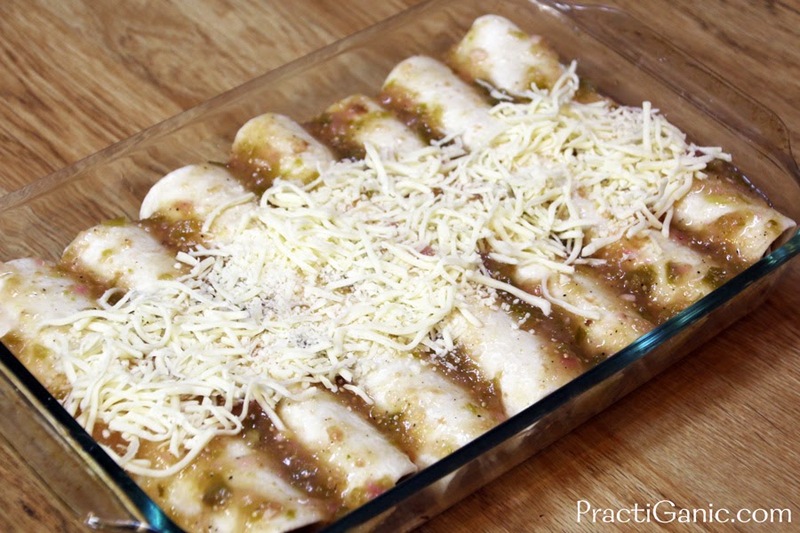 Put 1/2 cup of sauce in a sprayed baking dish then then line-up your enchiladas next to each other. 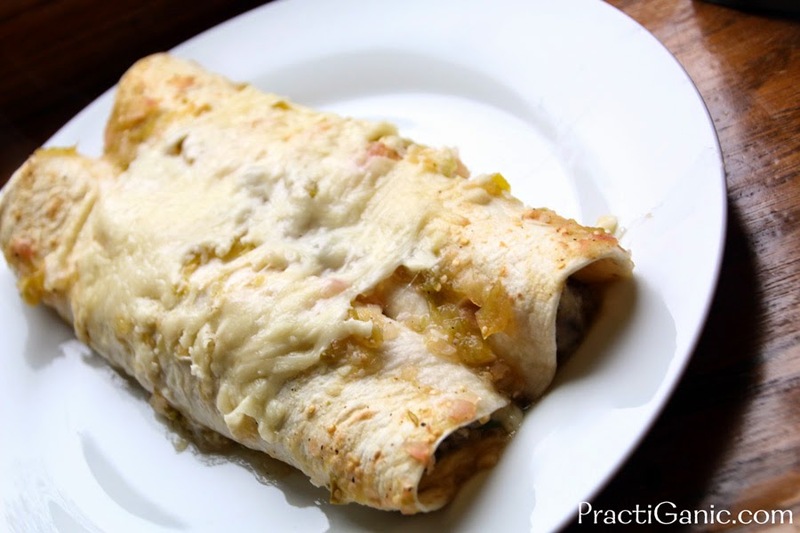 Top with tomatillo sauce and remaining cheese. 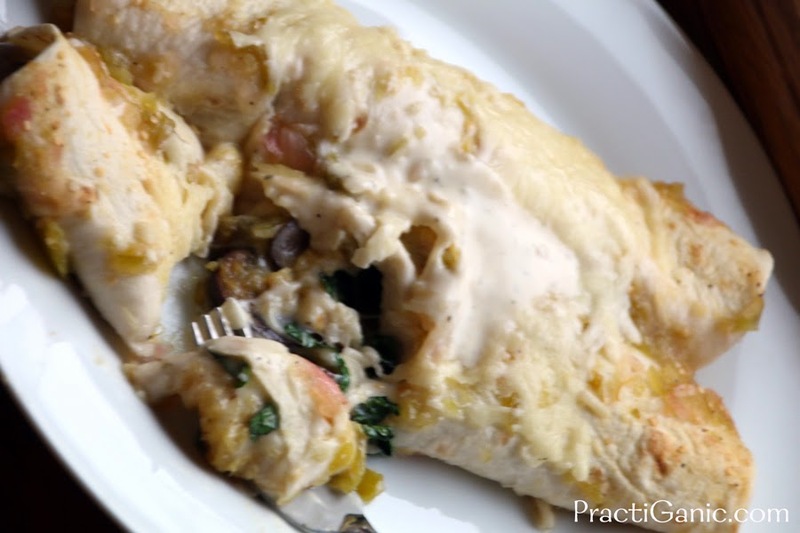 Bake at 375º for 20 minutes or until cheese on top is getting bubbly. When I will make these ahead of time, before baking I put them covered n the fridge. Since the acorn squash mixture cools down, I will bake them for up to 30 minutes.